Where to find Centralia - Chehalis hotels near an airport? 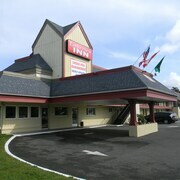 Where can I find hotels in Centralia - Chehalis that are near tourist attractions? Planning to spend time in Southwest Washington? Hoping to book a place to stay in the Centralia - Chehalis area? Within a 0.1-kilometre (0.06-mile) distance from central Centralia - Chehalis there are 5 hotel options you can choose from. 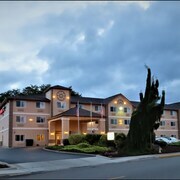 There are some accommodations within driving distance, such as the Best Western Plus Park Place Inn & Suites and Econo Lodge Chehalis - Centralia. 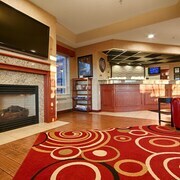 Centralia is a very good area to stay as it has 9 places to stay. Centralia is 11 kilometres (7 miles) from downtown Centralia - Chehalis. 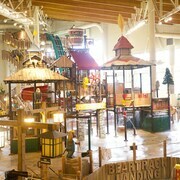 The Great Wolf Lodge Grand Mound and Peppermill Empress Inn are some of the Expedia-listed establishments in this area. Another popular area is Chehalis. This neighborhood is 7 kilometres (5 miles) from downtown. 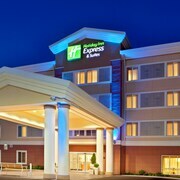 Some of the better known Chehalis accommodations include the Holiday Inn Express Chehalis-Centralia and Relax Inn. 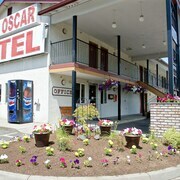 The Peppermill Empress Inn, King Oscar Motel and Travelodge Centralia are good choices for those seeking budget hotel accommodation. 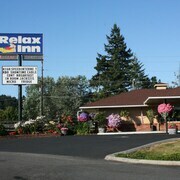 11 kilometres (7 miles) away from the middle of Centralia - Chehalis, is the Lakeview Inn Centralia. Alternatively, the Centralia Square Grand Ballroom & Hotel is 11 kilometres (7 miles) away. 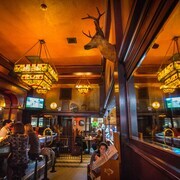 The McMenamins Olympic Club and also the Centralia Inn are two other recommended accommodation options around Centralia - Chehalis. If you plan to enjoy more of the forests and mountains in this section of United States of America, you should plan extra days in other parts of Southwest Washington. You can travel to regional points of interest or enjoy hiking, shore fishing and beach combing and then find a comfortable hotel. Kelso is 55 kilometres (34 miles) to the south of Centralia - Chehalis and is where you'll find Three Rivers Mall and Three Rivers Golf Course. Should you wish to stay in Kelso, check out the room rates at the Town House Motel Inc and Red Lion Hotel Kelso/Longview. 80 kilometres (51 miles) to the south of Centralia - Chehalis, is Woodland, which is home to the Best Western Woodland Inn and Rodeway Inn. Whether you're just passing through or staying in Woodland, set aside a little time to visit the Lewis River Golf Course and Hulda Klager Lilac Gardens. If you are planning on arriving through Seattle - Tacoma International Airport, you can book some accommodation at Seattle Airport Marriott, or Cedarbrook Lodge, both of which are conveniently close. What are the most popular Centralia - Chehalis hotels? Are there hotels in other cities near Centralia - Chehalis? 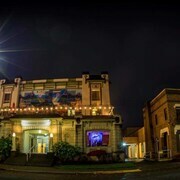 Explore Centralia - Chehalis with Expedia.ca’s Travel Guides to find the best flights, cars, holiday packages and more!